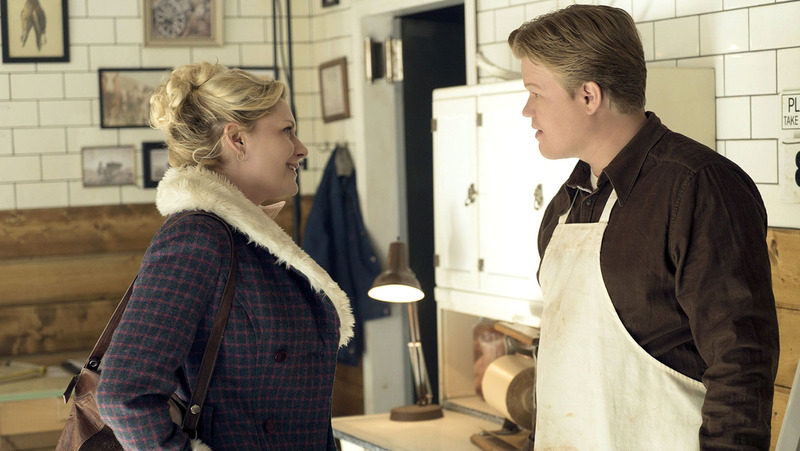 Although the Fargo costars have been keeping it quiet, it looks like Jesse Plemons and Kirsten Dunst really are engaged — well, at least if her engagement ring has anything to say about it. While at Paris Fashion Week, Dunst showed off her engagement ring and it’s not only exactly the type of gorgeous ring we would expect Dunst to have, but it also confirms that this actress will be headed down the aisle someday soon. US Weekly reported in April 2016 that Dunst had split from Garrett Hedlund, her boyfriend of over four years. Then, the outlet reported that Dunst and Plemons were spotted kissing in May, which sparked romance rumors between the costars that have evidently turned out to be true. As neither Plemons or Dunst have spoken publicly about the relationship, their attachment was still just a rumor when stories that Plemons and Dunst had become engaged in January 2017 started to emerge. 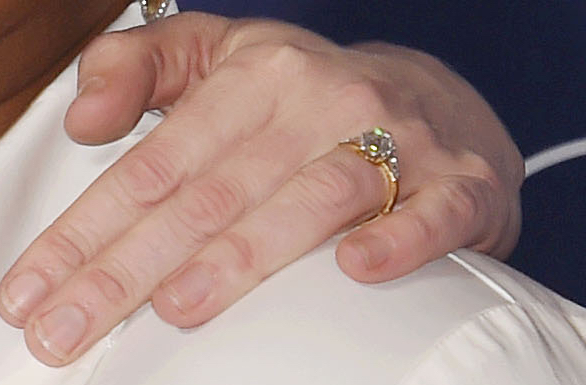 However, Dunst flashing her ring to the photographers at the Ralph & Russo Haute Couture show on January 23rd seems to make their engagement official. She also compared rings with model Arizona Muse, who is also engaged, at the show. 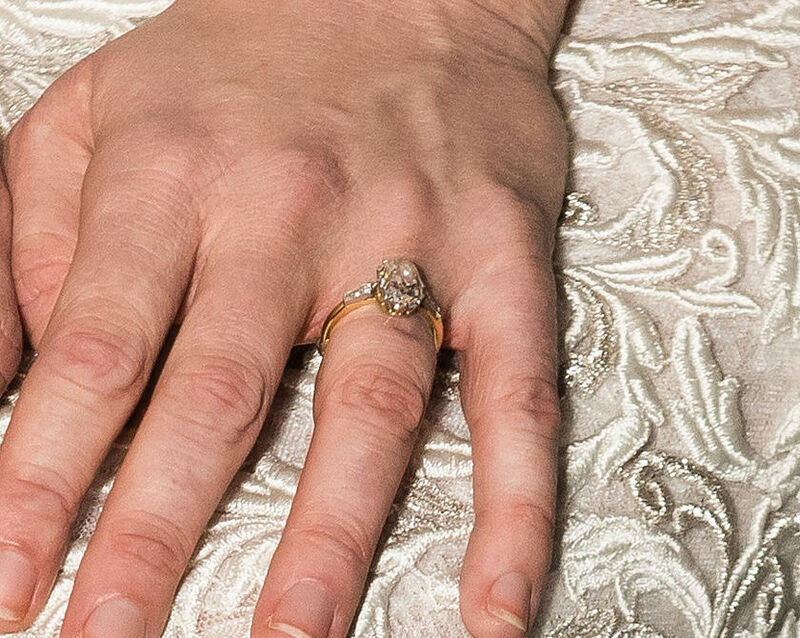 The photographers at Paris Fashion Week even got a close up of the ring, so we can see it in all fits glory. We particularly love the gold band and the simple, but oh-so elegant stone. As Dunst recycled a dress for Paris Fashion week, it wouldn’t be out of character for her if this was a vintage ring. But whether it’s new or an antique, her ring is truly a classic that we would love to rock on our fingers. This wasn’t technically the first time the Dunst has been spotted wearing her ring. She was on the red carpet of the Palm Springs International Film Festival on January 2nd — days before engagement rumors were leaked — for her film Hidden Figures. As you can see in the above picture with her costar — and Academy Award nominee! — Octavia Spencer, she was wearing a ring on her left ring finger. And if you zoom in (sorry, Octavia! ), it looks like it is indeed the same one she had on at Paris Fashion Week. So while we still don’t know when Dunst and Plemons became engaged, we feel confident in saying these two will be making it official soon. Congratulations, guys!